What happens when you’re an upside-down thinker in a right-side up world? That’s the problem Beatrice faces in her debut book, Beatrice Zinker, Upside Down Thinker from first time author Shelley Johannes. Beatrice is quite different. She dresses different, she acts different, she even eats her dessert first. You’ll never guess what her favorite dessert is – pineapple upside-down cake! But what makes Beatrice fun and unique is she EMBRACES her difference. Me and my neighborhood friends all hanging out in my backyard. That’s my little sister Karen on the chair swing on the right. 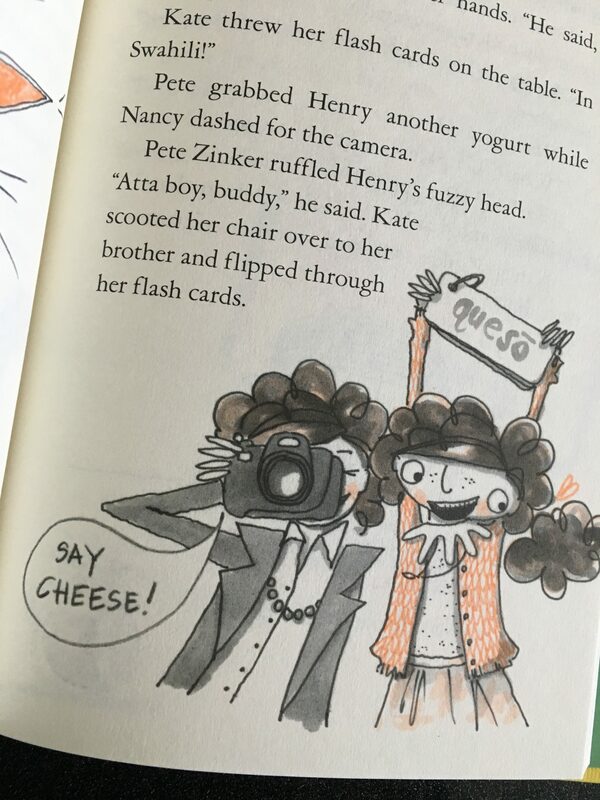 I wish I had Beatrice Zinker around when I was little. As a young kid in elementary school, I was standing in line for recess when some boy came up and taunted me with that horrible rhyme, “Chinese, Japanese, dirty knees, look at these!” I don’t know why, but I cried. Even though there’s no more reason to be ashamed of my Japanese heritage as there is of someone else’s Polish, Irish, Mexican, or Arabic heritage, it hurts to be singled out. Author, Shelley Johannes can appreciate that, because growing up she was different, too. All her life she loved writing and drawing, but she wasn’t sure if those things had value. Her creativity felt like a flaw instead of something to be celebrated. Certainly nothing you could make into a career. Shelley was already by nature quiet and shy and even in her art classes she felt out of place. While the other kids were brandishing work boots and Mohawks and feeling open about expressing themselves, she would sit quietly doing her work. “Even though everyone was super nice, I just felt out of place,” Shelley said. She decided to let out her creativity by becoming an architect. There she could draw and write in a “socially acceptable” manner. After all, being an architect was a solid profession instead of the hit or miss world of the arts. But for years, this idea tugged at her mind. She wanted to engage that creativity and let it out! One day, she was reading a picture book to one of her children called How I Became A Pirate and it all fell into place. THIS was how she could do both writing AND drawing! So she took a chance, and for a very shy woman not used to expressing her creativity, it was tough to put herself out there. She researched agents, most of whom she wasn’t sure she could trust, but found one who just resonated with her. But even then she was unsure. “It took me two years to finally contact him,” she noted. All of her hard work paid off. Her agent loved her work and challenged her to grow and expand and RISK when writing, to really be her own true self and Beatrice was born. In many ways, the self-confidence she found through the process of discovering herself she infused in Beatrice. Shelley not only writes her books, but also does the artwork! A quote by Joss Whedon also inspired her. He said, “Whatever makes you weird is probably your greatest asset.” And she thought to herself, it’s her creativity! Her love of writing and drawing is what might very well be her greatest asset. Her whole life she had felt creativity was a flaw but she realized that perhaps it was her gift and her strength. “I had to come to grips with that. My brain was intuitive. I thought intuitively, not chronologically. 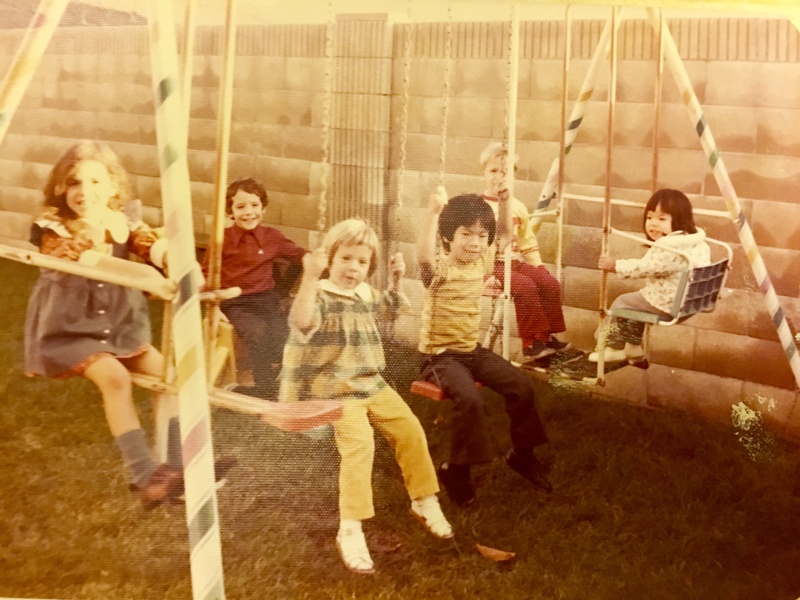 I wasn’t ‘wrong.’ My brain was just different.” Shelley wanted to share that celebration of differences with every child to encourage them to embrace their differences, too. Shelley’s story resonated with me particularly because my daughter Emma is also highly creative and at times extremely shy. I can’t always figure it out though because while being totally shy, she also performed one of the lead characters in the school play, volunteered to sing at church, and performs recitals with her violin! But I love her for that and everything else. My greatest gift to her isn’t a new iPhone or the latest Nintendo game. It’s being understanding and supportive of who she is. I think as a parent we are tempted to want our kids to be “normal,” not because we don’t appreciate them for who they are, but because we don’t want them to face the harsh criticism of the world. But let’s face it – what’s “normal” anyway? The most “abnormal” people in the world are the ones who changed it the most. So instead of wanting our kids to be “right-side up” thinkers, we should encourage them to just be themselves. This piece originally appeared on Babble.com, but this is my unedited version. There were a few things I really wanted you all to read so I hope you enjoy. Read the first part of our interview right here on Disney Nerds. You might want to read our review of Beatrice Zinker, too!